Corrosion Guide presents a list of corrosive agents and the trade names of materials, including metallic and non-metallic materials as well as alloys. The book provides guidance in using the tabulated information. This reference also lists relevant publications that deal with the properties of various materials. This new edition provides more data that are not included in the previous edition. The former edition fails to present enough information as the provided properties of the corrosive agents varies and other data are not available. The release aims to minimize missing information about the subject matter. This compilation of tabulated data provides description of each group of corrosive agents. Elements and compounds under each group are listed, along with their properties such as room temperature, corrosion rate, and composition. The list of trade names of materials also describes the composition of each material. 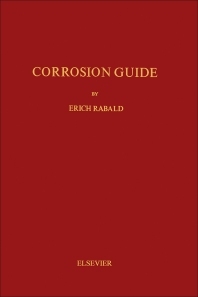 The information contained in this book is intended to help practicing engineers deal with corrosion.